Why would I need self storage in Tomball, TX? There are a variety of reasons why you might need self-storage in Tomball, TX. How much is a storage unit in Tomball, TX? The cheapest storage unit in Tomball, TX is $15.00 per month. What size storage units do you have available in Tomball, TX? In Tomball, TX we have sizes that range from 5'x5' to 15'x35' to suit your storage needs. How much is it for a 5'x5' storage unit in Tomball, TX? The cheapest 5'x5' storage unit in Tomball, TX is $18.00 per month. Tomball is a midsize suburban city located about 35 miles northwest of Houston. It offers a quiet, lush retreat within a major metropolitan area, somewhat of a peaceful suburban island surrounded by bustling cities and hundreds of thousands of people. The city is connected to the metropolitan area via a network of highways and interstates, making it easy for many residents to commute to work. Tomball was settled by Germans in the mid-1800s, many of whom were seeking a suitable environment for lumber and agricultural industries. In the early 20th century, the railroad attracted a larger population to the area. 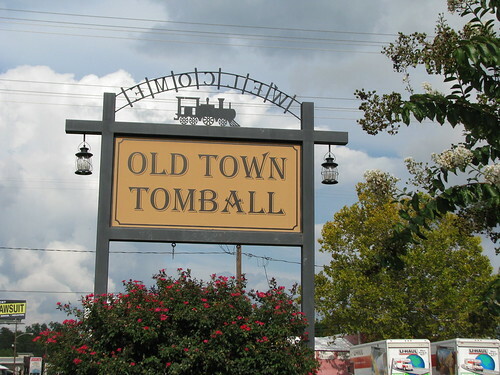 The town of Tomball was officially named in honor of local hero and former congressman, Thomas Ball. When oil was discovered in 1933, Tomball began to experience significant growth and even earned the nickname "Oiltown, U.S.A."
Tomball offers a pleasant place to call home, providing a number of conveniently-located amenities that provide an excellent quality of life. Parks and recreation areas like the Railroad Depot and Gazebo provide a peek at the city's history while offering modern-day public space for gatherings and events. The Theis Attaway Nature Preserve hosts miles of walking trails, a wildlife observation area, and an amphitheater for programs and performances. Annual music, culinary and heritage festivals are commonplace in Tomball and make it easy to get to know your neighbors and feel involved in your community. If you're looking for a job in Tomball, you'll find that it boasts a number of large employers in manufacturing, education and health care services. Computer manufacturer Hewlett Packard is by far the largest company, providing several thousand local jobs. Education organizations Tomball Independent School District and Lone Star College-Tomball are also major employers, as is health care provider Tomball Regional Medical Center and manufacturer Baker Hughes. Tomball students attend Tomball Independent School District, which includes pre-kindergarten through 12th grade. You'll also find a handful of private schools in the city, including many faith-based campuses. Utilities: The city utilities department oversees the distribution and billing of water and natural gas services. Because Texas hosts a deregulated energy market, you'll be able to choose your own electricity provider according to your needs and budget. Garbage and Recycling: Trash is collected two days per week, while recycling and yard waste are both picked up once weekly. Transportation: Harris County Transit offers transportation services for senior citizens and those with disabilities. Most residential neighborhoods in Tomball are conveniently located near major transportation routes. The city's western neighborhoods skirt Highway 249, which leads to Interstate 45, about 12 miles away. Neighborhoods along the city's southern edge offer easy access to Beltway 8, which services the Houston area. The Tomball housing market is split fairly evenly between properties for purchase and properties for rent, so you should be able to find options to fit your needs and budget. Our lowest priced units in Tomball, TX average $22.50 per month. 239 people have reserved units in Tomball, TX in the past 30 days. There are 6 locations within Tomball, TX's city limits. There are 6 locations in Tomball, TX that offer AC and Heating features.